Walking to Skinny–Convert Your Day to Walking! So, you think you don’t have time to walk, even just 15 minutes a day! Well, thanks to Purdue University, there is a converter of every day activities and sports that can be converted from time alloted to the activities into steps. Remember, that if you do more than 10,000 to 12,000 steps a day, you are doing great and on your way to skinny (as long as you eat a healthy balanced diet, based on the “rules.” If you are eating starches, sugar, more than 6 fist-sized, low-fat proteins a day, more than 4 smalls servings of veggies and 2 small servings of fruit a day and going over the 50 to 100g of carbs per day limit–then you will have to step a lot more to lose that weight. Use this chart to convert activities that are not easily measured by a pedometer. Multiply the number of minutes you participated in the activity by the number indicated in the chart. Use only the timed, converted steps for your step count. Do not also include the pedometer steps if you were wearing your pedometer while performing the activity. * Steps/Minute equals steps per minute. Use a pedometer to measure steps if you desire. 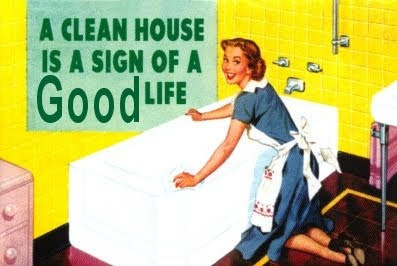 What a great excuse to enjoy cleaning your house now!